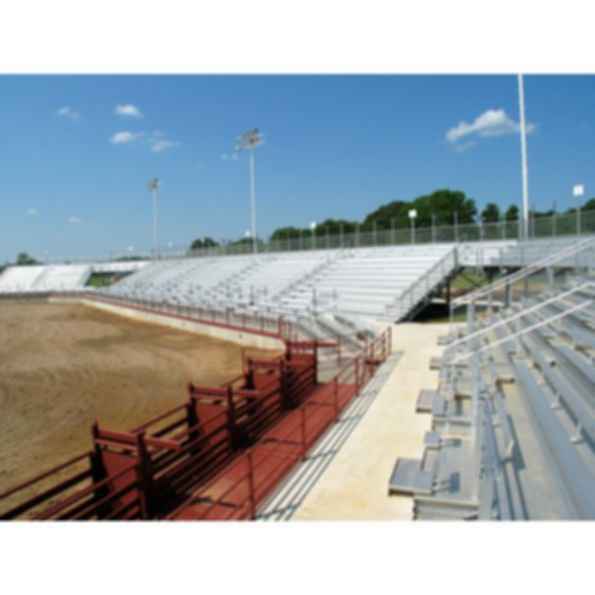 I-Beam permanent grandstands set the standard in premium outdoor spectator seating. 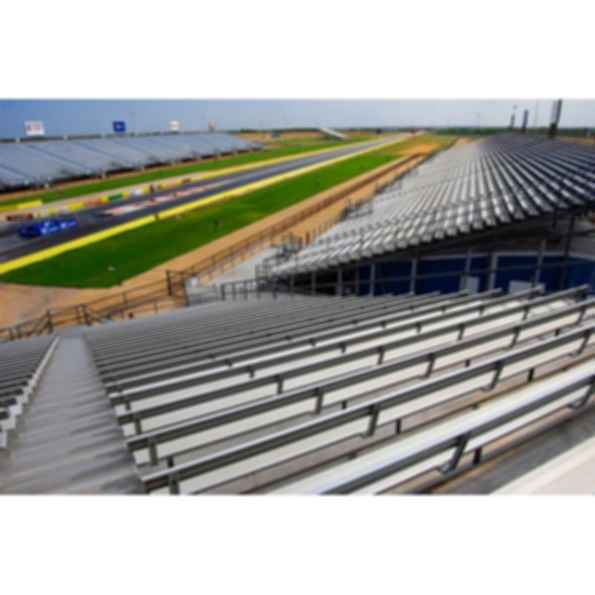 Each grandstand is specifically engineered and constructed to withstand daily use, regardless of weather conditions, size of crowd or type of event. 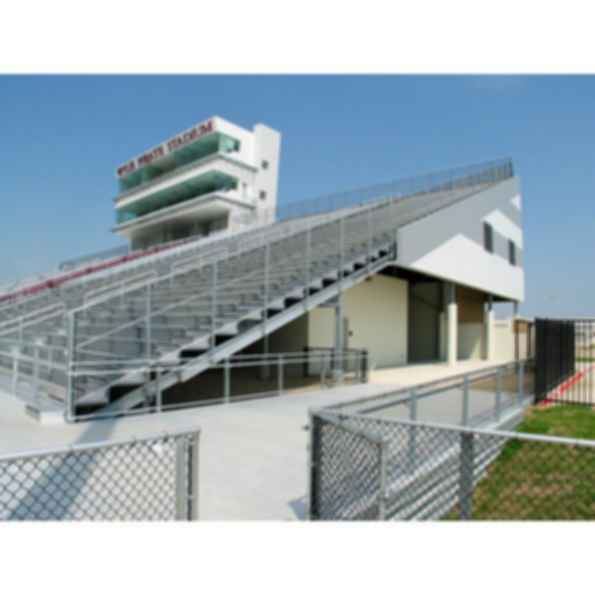 Sturdisteel offers professional engineering services to adapt any of our standard designs to your specific needs. 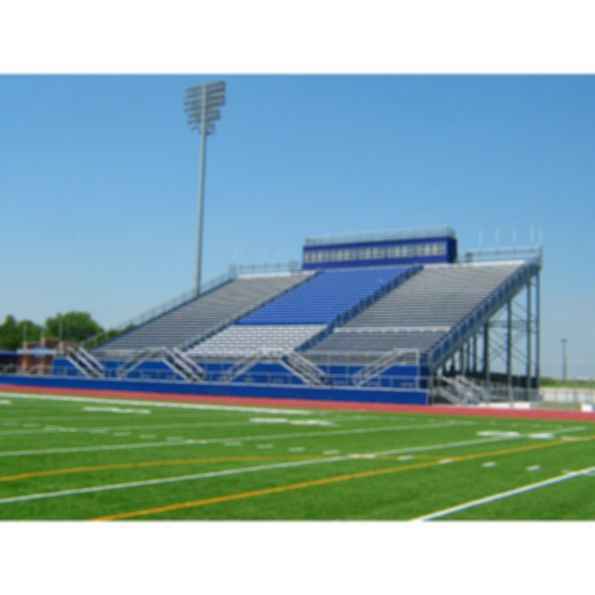 I-Beam permanent grandstands are offered with a choice of various finish applications and options that include roofing over seating areas, press box support structures, aluminum seat boards, foot boards, riser boards and VIP stadium chair seating. 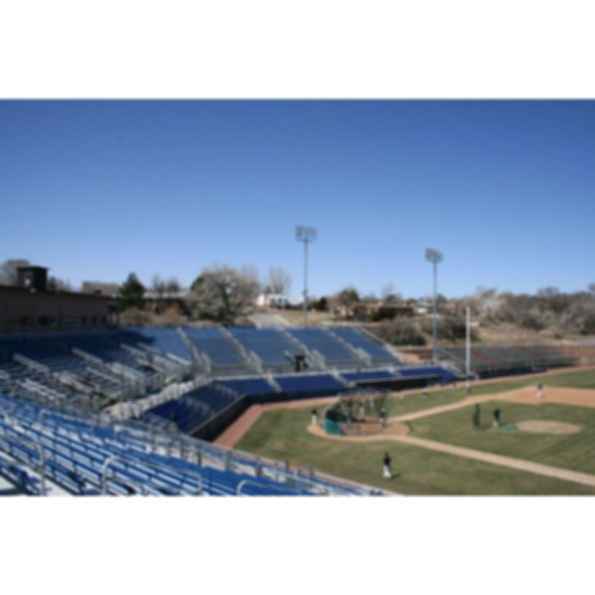 I-Beam grandstands represent premium quality in long-term spectator seating whether your seating requirements are 500 or 50,000. 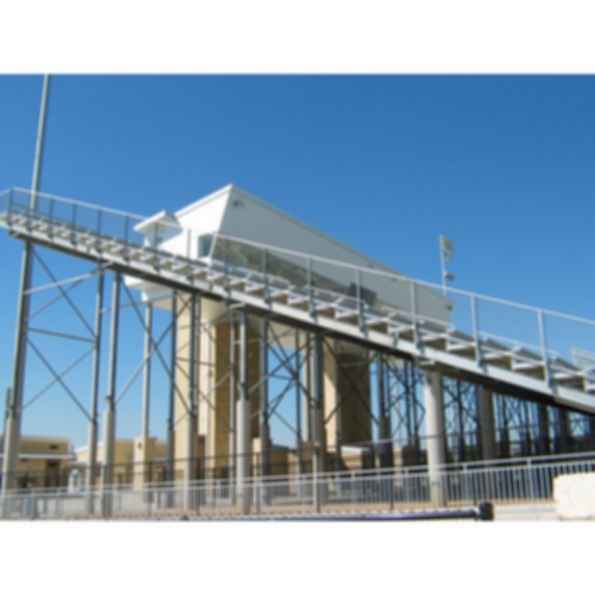 • Clear-Span understructure allows for room underneath grandstand for storage, restrooms, concessions, etc.